Some of us may remember when consumers used to be limited to buying from providers within their geography whether or not they knew, liked, or trusted them. If they needed a product or service and didn’t like anyone who sold it locally, too bad. Driving to the town 30 miles away wasn’t an option in 1972 for a couple of reasons: 1. There was an energy crisis. 2. People not only didn’t know how to find places outside of their own areas, they had no easy way of knowing what was even available when they got there. 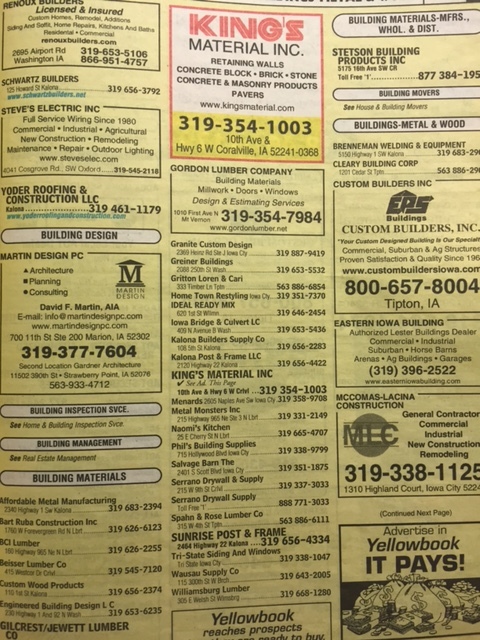 Phone books only used to be distributed by TOWNS within about a 10-mile radius of someone’s residence. If you wanted to run your fingers through the yellow pages of another location, you had to drive to the local library and pull them off the shelf. As if that wasn’t enough, you had to then find a map of the place you wanted to go. Even then, no one had time to waste driving up-and-down every street in an unfamiliar place looking for what they needed. We all know it’s not 1972. In many ways, it’s never coming back, yet in some ways it is. When I was a kid, my dad used to spend every Saturday morning from 7am to Noon at the grain elevator lobby in our local town. He and a dozen other farmers got together to talk about anything anyone wanted to discuss. When I went along, one of the men always gave me a shiny quarter to buy an Orange Crush in a 10-ounce bottle from the Coca-Cola chest-cooler. Back then, I thought it was because he liked me. Now that I’ve been a father for 18 years, I’m pretty sure it was to keep me quiet so dad could socialize. Why did I tell you this? How is 1972 applicable to today? People like my dad and his friends were all about community. Their sense of belonging made time stand still because they shared common world views. Today the Internet adapts those same desirable characteristics while diminishing or even eliminating the constraints of geography. Consumers’ options are longer defined by the yellow pages. Businesses, their products and services, and even their representatives, can be searched, researched, located, contacted, interacted with, mapped, and transacted with…no matter where they are in the world. What does that mean? If consumers are being served by a business, but don’t share complementary world views with the representative they are bound or assigned to, they can research and locate a more compatible provider. Doing so allows them to be part of a community instead of feeling like a prospect constantly being sold to. Second, they can regain control of their time. They will be able to confidently ignore a majority of the people competing for their attention every day, allowing them freedom from the continuous interruptions of representatives who “just don’t get it”. 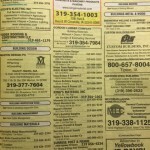 So what are we doing now, marketing the phone book or creating communities?